Famed for their riotous comedy and jaw-dropping b-boy action, The Cuban Brothers have effortlessly wowed crowds across the world from Sydney Opera House, Carnegie Hall to the main stage of Bestival and beyond, all the while hatching a plan for musical magic. 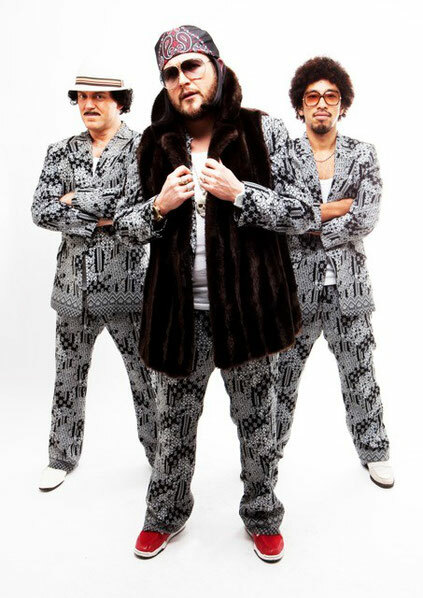 Now it’s been revealed that they have spent their spare moments putting together a soul & funk outfit - The Cuban Brothers presents The CB's. Featuring band members who have played alongside James Brown, Amy Winehouse, Q-Tip and many more, the band has already scored direct hits with their first two singles, ‘Misdemeanor’ and ‘The Finding’. 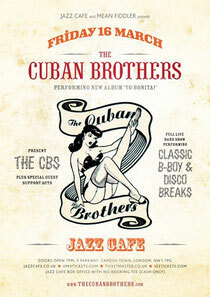 Celebrating the forthcoming release of their debut album, ‘Yo Bonita’, The Cuban Brothers presents The CB's are inviting you into their world with a free download of ‘We Don't Have To Take Our Clothes Off’, a non-album track specially recorded for a forthcoming UK film. With their reputation preceding them, check out what really happens in the recording studio, Los Hermanos Cubanos style and look out for their performance at London’s Jazz Café on Friday 16th March.